During a job search, women can help to end workplace inequality by supporting other female job seekers and helping them land great jobs. Unless you’ve been living under a rock, you’re aware of all the recent gender discrimination and harassment scandals. Workplaces in every industry have been exposed for sexist policies, leadership, and actions. The one bright light? All this controversy — and the news attention it’s getting is forcing change. A March research report from The Pew Research Center found one of the most vital elements for an equal workplace is having a strong female support system. The report found that women who work at male-dominated companies are more likely to face barriers to career advancement and unequal pay than women at female-dominated companies or those with equal gender representation. This gives women a powerful weapon in the fight for gender equality. By knowing they’re less likely to face discrimination in a workplace with a female support system, they can avoid working for unfair organizations. With most companies clamoring for talent, this will drive organizations to change their ways to get the best employees. Often, women feel pressure to keep quiet about discrimination in the workplace. They worry about not being believed or facing career backlash. But keeping quiet rarely does any good. Employers who allow for gender discrimination continue on with business as usual. Even if you don’t feel comfortable sharing your negative experiences with your employer or HR, there are plenty of ways to warn other women about bad workplaces. Take the time to write reviews on sites like Glassdoor. This will force the company to deal with discrimination issues occuring in the workplace. Just make sure you write these reviews with a clear head. If you pour out what happened right after an unfair incident, you’ll be unable to form an objective description of what you went through. To help other women, it’s best to write an honest but dispassionate review. When you’re searching for a job, chances are you come across a great opening that, unfortunately, isn’t right for you. Don’t keep these positions hidden. Pass them to other women in your network so they can jump at the job. Start by sharing the job description with women whom you are confident would do a great job. Send them an email or LinkedIn InMail with a link to the posting. Also, include an explanation of why you think the job would be great for them. Even if the individual isn’t actively looking for a new job, knowing there are better options can help her in her career. Another option is to share these job ads on social media. When women use social media to look for a job, they often focus on specific companies that interest them. But this means they can miss out on great opportunities outside of that focus. By sharing these openings with your followers, they have a new source to turn to find a job. Employers are thorough when they’re researching potential employees. The more evidence there is that a woman is skilled and talented, the better her chances of getting hired. 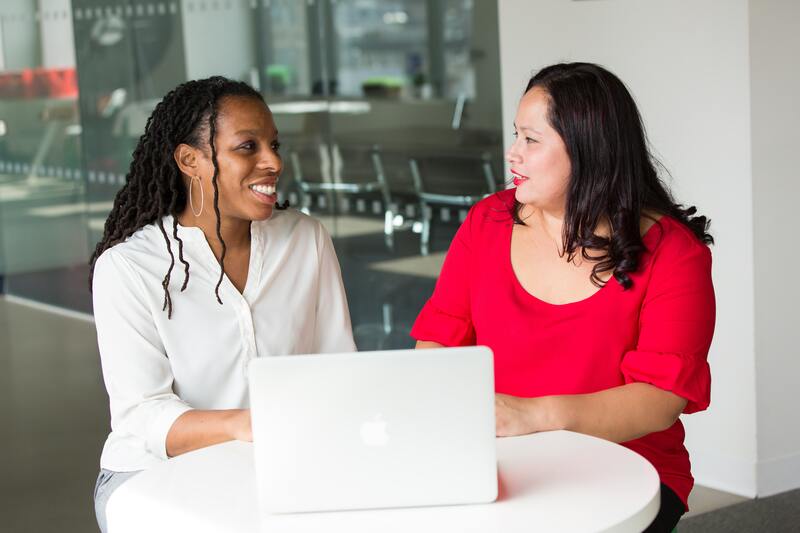 Support the other females in your network by endorsing their skills on LinkedIn. Also, when you let the women in your network know you’re search for a job, tell them to feel free to send recommendation requests for their LinkedIn profiles. By spending just a few minutes writing about another female job seeker’s experience, you improve her credibility. Plus, the gesture can help strengthen your professional relationship with these women. Chances are they’ll repay the favor by endorsing your own skills online. Undoing hundreds of years of workplace inequality is not easy. But luckily, things are changing. To keep things progressing, female professionals need to be able to find jobs with companies that embrace all women have to offer. And that starts by women supporting each other in the job search so everyone has a better chance of find the best job for them.